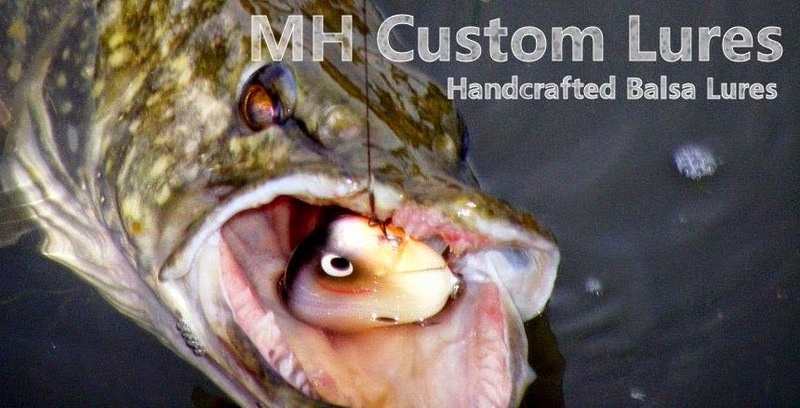 This winter I have set myself a challenge of catching perch (the biggest I can get) using small (perch like) baits. so far it has been going pretty poor, with the heavy rain we've had (& has cased sever flooding in the northern counties) the main rivers have been somewhat un-fishable. So me and Ian have been focusing on the canals, and to some extent we've had success with the zander, occasional perch and odd pike. 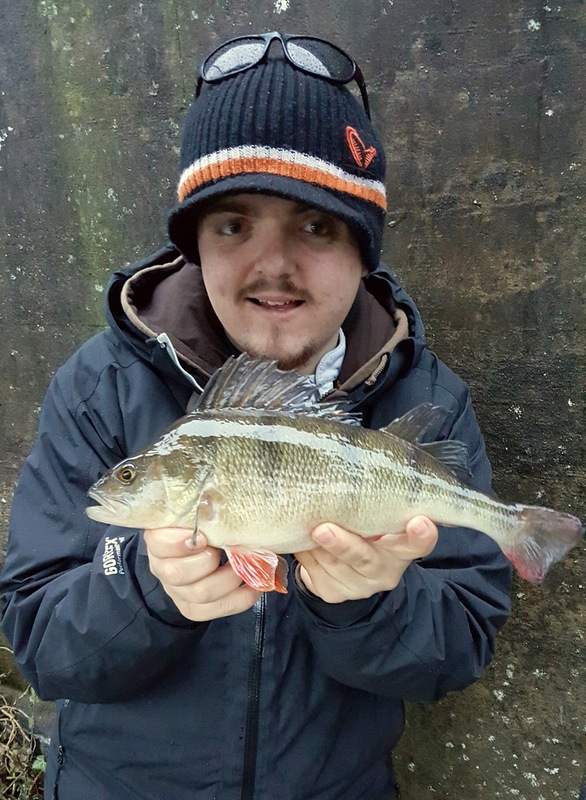 Back on the 19th Dec me and Ian fished a canal for a few hours, the session started fine, odd little perch from the usual features. I was using one of my 2.5'' Dragon-V Bandits in a yellow/orange colour that I have quickly become fond of, as they're such a really nice bait to use (and ain't that bad on price either). 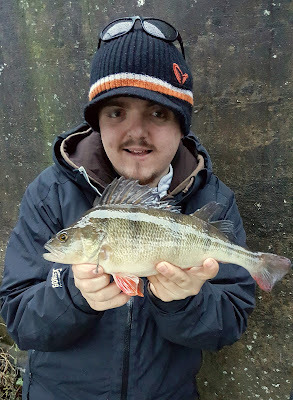 twitching it along the bottom of the canal and as it came into view this perch shot out of nowhere and hit the bait. at first I though it was about a pound (lbs) but no, it was a pound and three quarters (1lb 12oz) my best from a canal yet! It looks a proper veteran of a fish, even the colours on it are not as vibrant as the camera makes out. All in all, not bad not bad at all..